To those who are excited and invested in the series, it is time to dust down any anticipation. The wait is over. The second instalment in the Hobbit franchise is finally upon us. 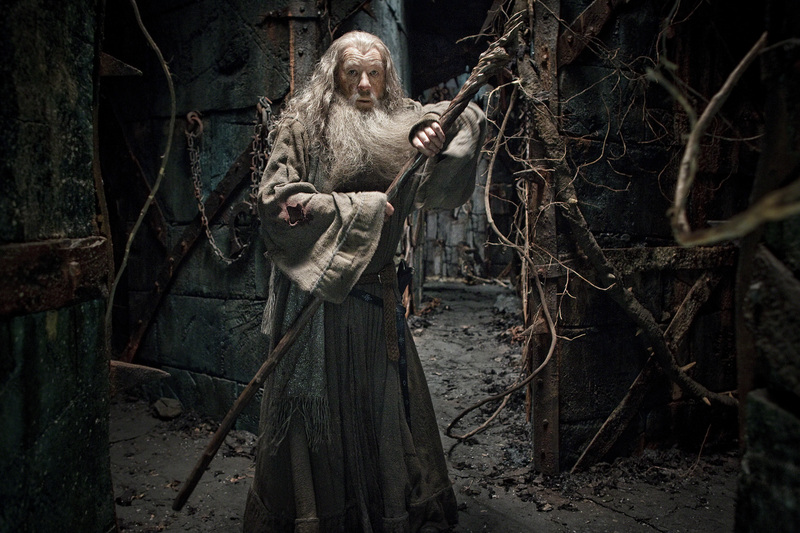 Following on from ‘An Unexpected Journey’ – where introductions were made to Martin Freeman’s Bilbo Baggins, along with a not-so-merry troupe of Dwarves (like a clan entirely made up of Sleeping Beauty’s ‘Grumpy’) and the welcome return of the ever reliable Gandalf – ‘The Desolation of Smaug’ continues their trek for the Dwarves reclamation of Erebor. Their MO and pledge is to usurp the dragon from the Lonely Mountain and retake their homelands. First things first, this film will not convert naysayers. It’s okay. Really. Let them go. This review is going to be directed towards the congregation and the choir. Things start promisingly. In stark contrast to the flabby opening to the previous film, this is taut. It launches off the blocks quicker than a hungry Usain Bolt in search of a food line. The trademark sweeping and swooping camera accelerates into the thick of the action more or less from the get-go. Sadly, what is initially welcome, begins to outstay its welcome. The relentless action overwhelms the narrative. Monotony creeps in, and concerns begin to flicker that there is a fault with the engine. Some of the hectic scenes dash and zing with the fluidity of a powered-up turbo-boosted character in a computer game. Technically very good. There is an awe induced over how it could possibly have been captured… Awe with thoughts about mechanics is not the same thing as awe with abandonment of thought. Such an awe does arrive though. When it does, in the latter half of the film and amongst a stronger narrative grip, it forces an upright shift into the back of the chair and attention undivided. Suddenly, the film snaps into life. It strides forward with flamboyance, panache and a strong supply of moments to take the breath away. Moments to dazzle children and moments to make adults feel young once more; to rekindle any lost magic that they may have had with the cinema. There are dizzying tumbles, salivating beasts, orcs-aplenty and even a dragon that unintentionally infers the spirit and delivery of Scar from the Lion King. Except, this Scar gets centre stage, in everyone’s face and possibly under the skin even further. He possesses vitriol, fire and cunning. He glides and goads. He slithers and taunts, and all this is carried out with a bundle of venomous guile. It is fair to say this dragon, the titular Smaug, is a thing to marvel. What about the feel of the film? Well, there is a true portent and a genuinely brooding foreboding; a darkness that renders other fantasy epics akin to child’s play. Star Wars wishes it had the gumption to venture to this shade of black. In fact, this sequel makes Empire Strikes Back look more like Baby Got Back. The other question on our lips is, ‘do we miss Gollum?’ Well, it is hard to say. 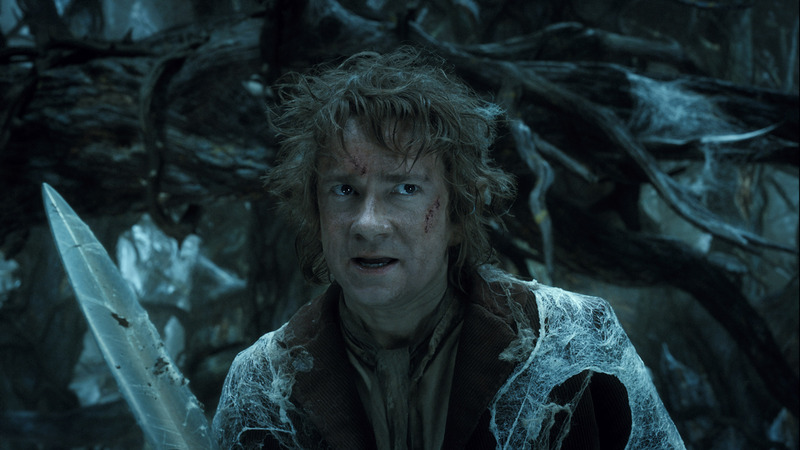 He is not a part of this picture and his brief appearance almost stole ‘An Unexpected Journey’ from under Bilbo’s nose. However, the (ultimately minor) faults at the heart of this feature lie with other issues, as outlined above. Moreover, Smaug is a compelling argument as to an able replacement. As the film heads into the shadow of 3 hours, proceedings are halted abruptly. Matters do not draw to a close with humble dampening of activity, no. They build to a thunderous crescendo, with a sharp intake of breath, and the stoking of an unquenchable thirst for the third and final instalment. How does he do it? In terms of fantasy films, he makes a strong case as the one director to rule them all. Yes, against the odds, Jackson has done it again. This entry was posted on 12/12/2013 by toomuchnoiseblog in Reviews and tagged An Unexpected Journey, Cinema, Films, Franchise, Greg Wetherall, Ian Mckellan, Lord of the Rings, Martin Freeman, movie, Peter Jackson, Release, Review, The Desolation of Smaug, The Hobbit, Tolkien, Trilogy.